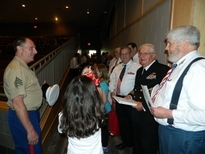 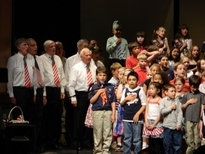 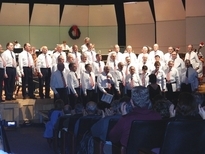 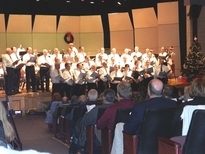 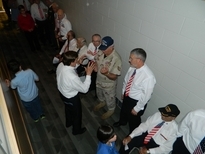 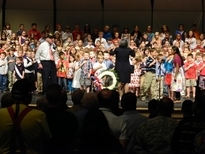 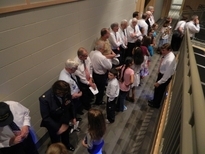 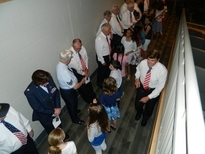 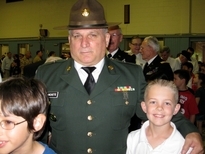 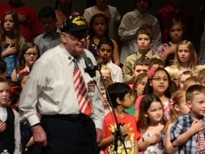 The International Veterans’ Chorus began in September 2002 with the idea of educating children in our schools about the important role our veterans have played so that we may live in a free democracy. 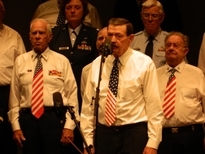 The chorus has grown from 10 to 44 wonderful veterans over the past 10 years with a desire to share not only the gift of music but also so much more. 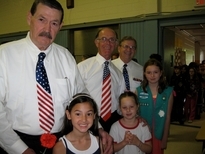 They have taught both children and adults alike that people from all over the world can live in peace and harmony. 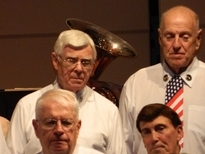 Through their music, dedication and warm smiles they have shared not only the love of music but also the love of country and patriotism with thousands of people. 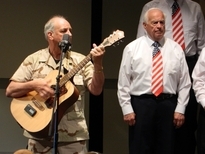 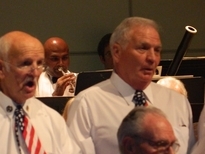 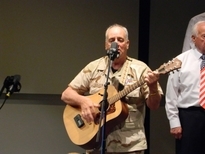 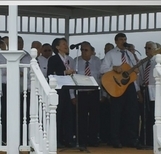 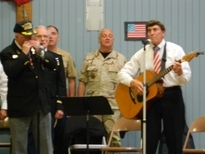 Veterans from foreign lands are singing beautiful music with the veterans of the United States. 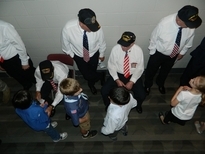 Because of these men and women we know it is possible to respect and honor all people regardless of race, religion or the country of their birth. 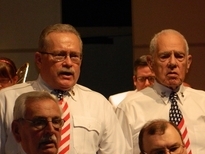 Our International members served in the British Army and the Hungarian Army. 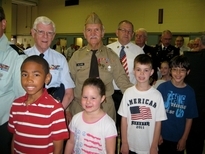 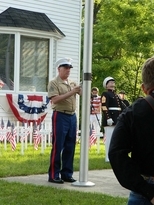 We have American Veterans who served in the Army, Navy, Marines, Air Force, Coast Guard, Reserves and the National Guards. 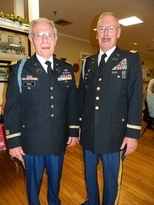 Our veterans served during WWII, the Korean War, the Vietnam Conflict and during peace times and range in age from 44 to 95. 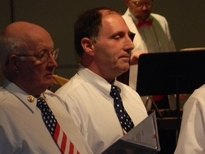 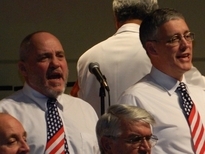 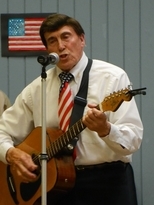 We have sung at local schools for patriotic and school events along with civic and patriotic events in Leominster, Fitchburg, Winchendon, Lunenburg and Athol. 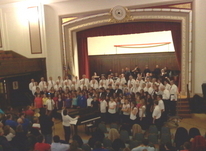 Some of these have been the July 4 “Youth at the Pops” with the Thayer Symphony Orchestra at the Bernardian Bowl, the Fitchburg 4th of July Parade, the Johnny Appleseed Festival in Leominster, Starburst Festival in Leominster, White Cross Ceremonies for Memorial Day in Leominster and Fitchburg, Sholan Farms Apple Blossom Festival in Leominster, the Leominster and Fitchburg Mayors inaugurations, the Fitchburg Public Library, Family Links in Leominster and local nursing homes to name a few.